The Taliban in Afghanistan said on 31 may that it had no role in the deadly bombing that took place in the diplomatic enclave in capital Kabul that left at least 80 dead and injured around 350. In a statement issued here, Taliban spokesman Zabiullah Mujahid was quoted by the Khamma Press, as saying that the group was not involved in it as they are not allowed to carry out attacks in areas where there are no targets. Mujahid also added that the group strongly condemns 31 may's attack in the city. 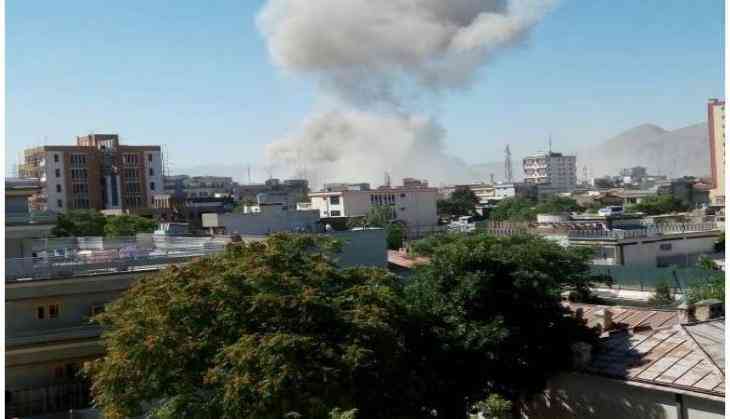 Khamma Press quoted Interior Ministry spokesman Najib Danish, as saying that the attack was likely carried out using a truck full of explosives which was detonated close to Zambaq Square, an area that houses several diplomatic missions. The Ministry of Public is as of now confirming the death toll at 80 and the injured at around 350, if not more. The toll in both categories is expected to rise. Today's incident followed a day after two suspected suicide bombers were killed in an explosion in the 11th police district. Meanwhile, the Embassy of the United States has issued a security alert post the explosion. "The U.S. Embassy in Kabul reports that a large explosion has taken place in the city of Kabul near the German Embassy. There are media reports of casualties as a result of the explosion. Afghan Government authorities are responding to the attack. U.S. citizens in Kabul are advised to avoid traveling to that area," a statement by the embassy said. The statement further added that "The U.S Embassy reminds all U.S. citizens that serious threats to safety and security exist in the city of Kabul and throughout Afghanistan. Militant groups usually plan attacks against locations and individuals with potential American connections, including: Afghan and U.S. government facilities, foreign embassies, military installations, commercial entities, non-governmental organization offices, restaurants, hotels, airports, and educational centers. The threat of kidnapping is high. The potential also exists for protests to occur in Afghan cities at short notice." "Travel to all areas of Afghanistan remains unsafe due to the ongoing risk of kidnapping, hostage taking, military combat operations, landmines, banditry, armed rivalry between political and tribal groups, militant attacks, direct and indirect fire, suicide bombings, and insurgent attacks, including attacks using vehicle-borne or other improvised explosive devices," the statement added.